IT SEEMS THAT every couple of months, we have to talk about the Highway Trust Fund. Specifically, the lack of money in the Highway Trust Fund. And here we are again, with the fund expected to be insolvent by September—and a fix needed by July 31, since that’s when Congress takes vacation. 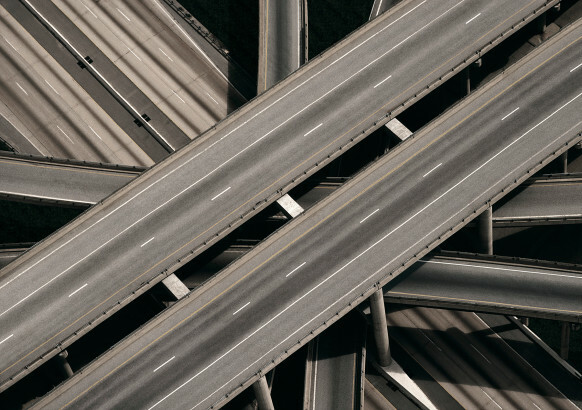 The Highway Trust Fund is the source of most federal spending on road infrastructure. Its primary source is the 18.4 cent per gallon excise tax on gasoline and a 24.4 cent per gallon tax on diesel. Problem is, the gas tax hasn’t been increased since 1993 (so it isn’t keeping up with inflation), cars are more fuel efficient than ever, and an increasing number of electric cars aren’t paying into the fund at all. To keep the coffers from totally drying up, Congress has signed off on a series of stopgap measures over the past decade, transferring tens of billions of dollars from the US Treasury’s General Fund into the fund to keep it in the black, including a $10.8 billion infusion last August. A recently passed House bill would keep things moving through December with a $8.1 billion transfer, thanks to avariety of tax tweaks and gimmicks (including changes to how lenders report information on mortgages, clarifications to the statute of limitations on some tax returns, and changes to tax filing deadlines) to improve compliance rates on current taxes. It will likely pass the Senate and head to the president’s desk before the end of the month, though some Senate Republicans would prefer a longer-term funding fix that would push the issue to the other side of the 2016 elections—when someone more conservative might be in the Oval. You could dismiss this funding question as boring government wonkery, but the Highway Trust Fund is critical and directly impacts your life. That is, if you ever go places or have things delivered at home. Everyone in America relies on the Interstate Highway System, either because they need to get to work or go on vacation, or because they buy goods that have moved on a truck at some point in their journey. Cars and trucks need decent roads and bridges that don’t fall down to keep the economy moving—and we’re getting closer to failure. In its most recent infrastructure “report card,” the American Society of Civil Engineers gave US highways a D+, estimating that $101 billion is lost each year to wasted time and fuel because of highway congestion. Bridges got a C+. So why on Earth haven’t we fixed the problem? Surely everyone can agree that roads are a good place to spend tax dollars, right? Well, yes and no. As with many things, it’s nothow we’re spending the money that’s the problem. It’swhere we’re getting it from. Bill HR 680, introduced in the House by Oregon democrat Earl Blumenauer earlier this year, would raise the gas tax over several years, then index it to inflation. It has 37 co-sponsors, all Democrats. It’s already toast. There are others ideas that could work. Bipartisan support seems to be building around another plan that would allow companies (like Apple, Microsoft and others) that have untaxed cash sitting overseas to “repatriate” it, bringing it home at a lower tax rate than they would otherwise need to pay. The upside for the companies is that they can bring home billions to invest in United States operations, rather than choosing to keep it overseas and away from our hefty corporate tax rates. The scheme would likely generate tens of billions, potentially keeping the Highway Trust Fund in the black for years. But the one-time revenue bump wouldn’t solve the underlying funding problem, and the Obama White House hasn’t expressed much support for the plan. There are some interesting ideas, like a trial in Oregon that will tax drivers based on their total mileage rather than gasoline used (getting electric vehicles to pay their share at the same time). That pilot program launched on July 1 with 5,000 vehicles. Drivers pay 1.5 cents per mile when driving within the state, and they receive a credit for the $0.30 per gallon state gas tax. It’s too soon to reach a verdict, but of all the plans to fix the funding problem, a per-mile charge is probably the fairest way to go. But as much as we (and our representatives in Congress) all love and need smooth highways, a real, longterm solution to pay for them looks as far away as ever. In the meantime, expect to hear more about temporary funding transfers to the Highway Trust Fund. And come December, we’ll be ready to talk about how the fund is drying up, again.